Villar Dixon was born August 8, 1929 in Covington “Tipton County” Tennessee to the union of Edgar “Eddie” Howard and Idella Betts. She was the oldest of three children. She transitioned on September 20, 2018 at the Heritage Nursing Home in Kennett, Missouri. She confessed a hope in Christ at an early age and later joined St. Paul Missionary Baptist Church, Wardell, Missouri where she dutifully served as an usher under the leadership of Rev. Emmanuel Lofton until her health failed. She was employed as a cook at North Pemiscot School for 27 years. She married George Dixon on September 20, 1946 and to this union seven children were born. She was preceded in death by her husband, George, daughter, Jewell Fuzzell, granddaughter, Latasha Dixon, sister, Earnestine Williams and both parents and brother John Huff. 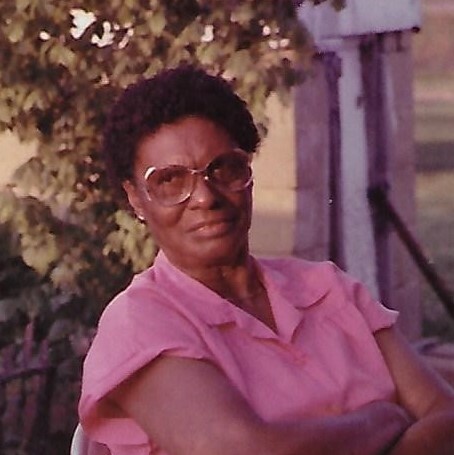 She leaves to cherish her legacy: five sons, James, Tucson, Arizona; John (Pinkie), Caruthersville, Missouri; Lesley (Renee), Dallas, Georgia; Clavon (Julie), Springfield, Missouri; Eddie Lee, Drummond, Tennessee; two daughters, Rosie, Wardell, Missouri; Michelle, Chicago, Illinois; one brother, Eddie Howard, Jr., Memphis, Tennessee; longtime friend, Mrs. Fannie Flowers; thirteen grandchildren, twenty-one great grandchildren, five great-great grandchildren and a host of nieces, nephews, other relatives and friends.